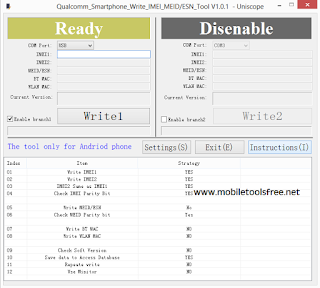 Qualcomm Android smartphone writes IMEI tool latest version 1.0 for repair all type of Qualcomm based latest smartphones damage security data like IMEI, WIFI(MAC) address Bluetooth address and software version information rewrite or allow to change it or if your phones security data damage then you can easily repair it with this small tool. During the flashing with QFIL of any Qualcomm based phone if you select rawprogram_unsparse.xml then all of your phone data will lose and also security data which is so much important data of any smartphone is also lose and most of flashing devices like CM2 Qualcomm tool did have support to repair that data without that data your phone will unable to connect with any network so you have to repair that data we give you a small to do that. 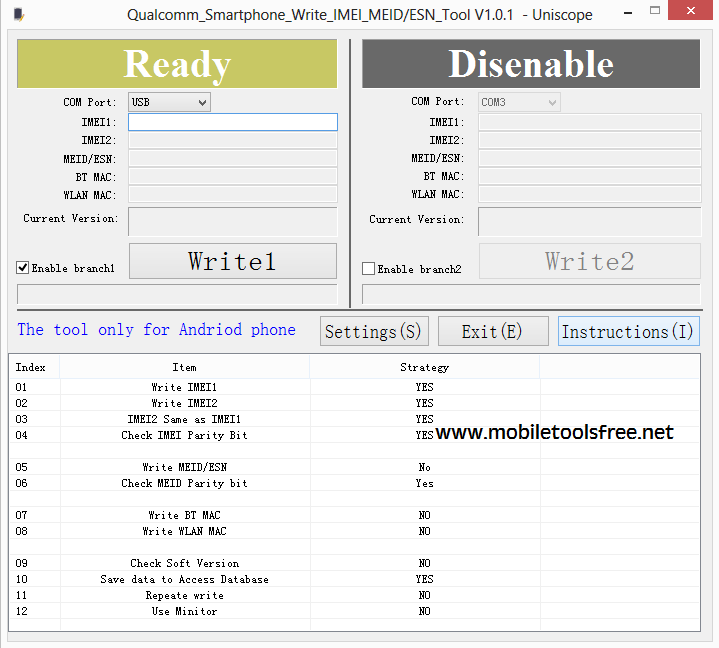 The latest version of Qualcomm IMEi repair tool has the support of following CPU,s MSM8916, MSM8909, MSM8939, MSM8209, MSM8592 also have sopport of old CPU,s. Changing of security data like IMEI or MAC adderss is illegal all over the world you can use that app to repair your Qualcomm based smartphone security data. If you want to download the latest version of Qualcomm Smartphone IMEI Repair tool for repair IMEI not changing IMEI then you can download just clicking on the download link below.